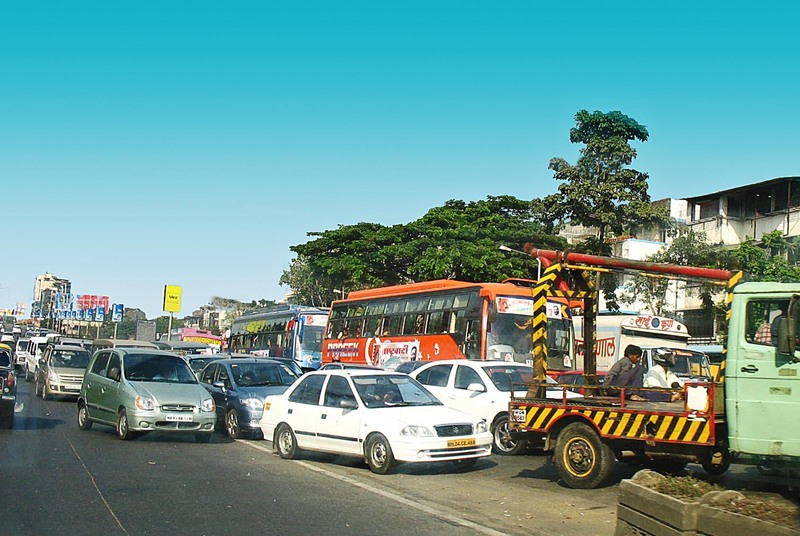 Few cities in India have orderly traffic. Most cities are quite famous for the disorderly traffic and chaos on the streets. Here are a few examples in pictures. This photograph is shot in Mumbai. Vehicles often block oncoming traffic in the hurry to get ahead in the line. Educated drivers they call themselves! This is taken in the city of Agra. 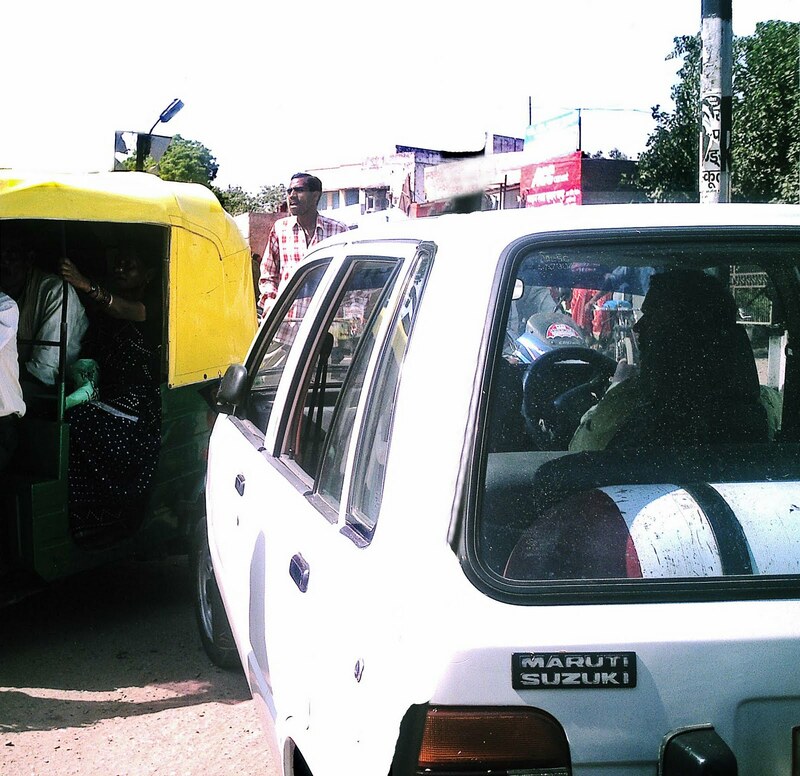 A car and a rickshaw seem to be at loggerheads and even two-wheelers find it difficult to squeeze through! The next two photographs are taken in Pune. Two-wheeler drivers in this city take every opportunity to get ahead, even at the risk to their lives. 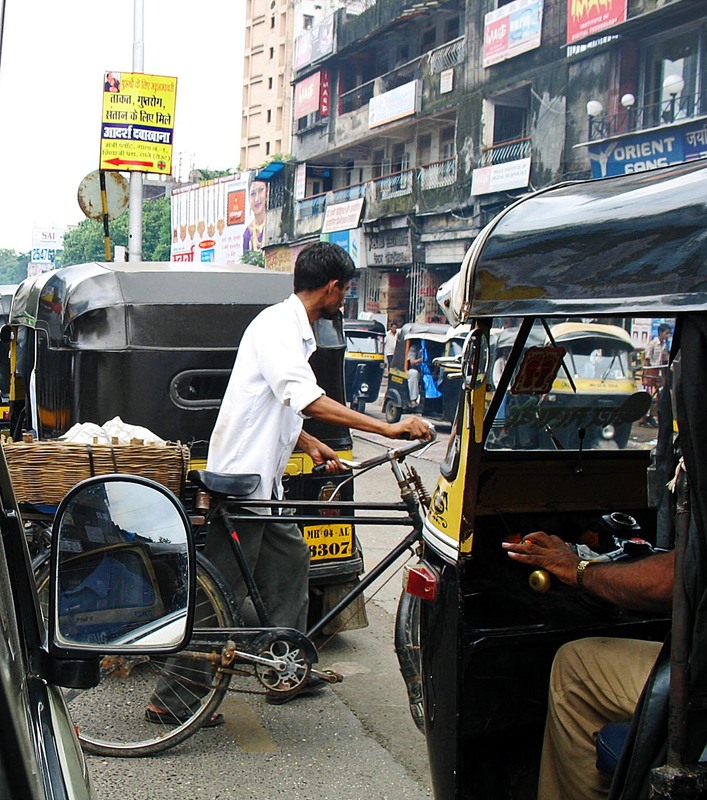 In this photograph you can see one two-wheeler trying to get past a tempo from the front, and the other from the back. Bigger vehicles are hemmed in from all sides! Here it is free for all! Two-wheelers trying to squeeze into crowded traffic, going in wrong directions and people jumping the divider. 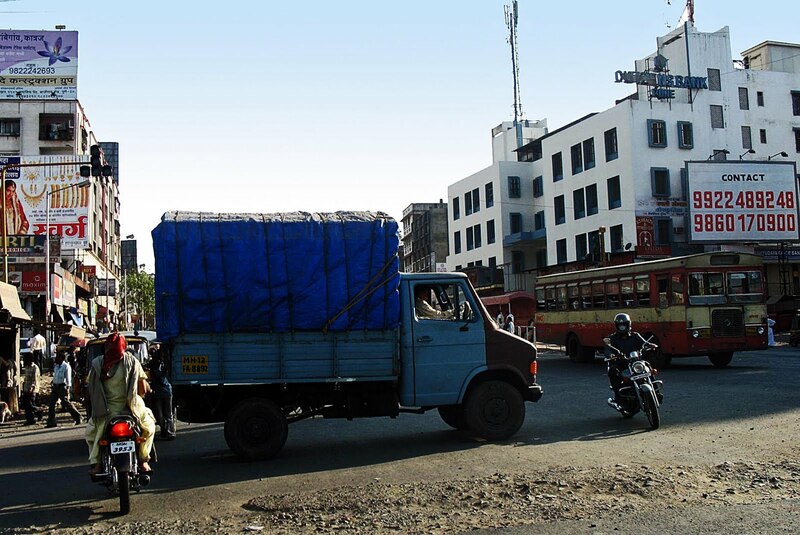 Another Pune traffic scene. 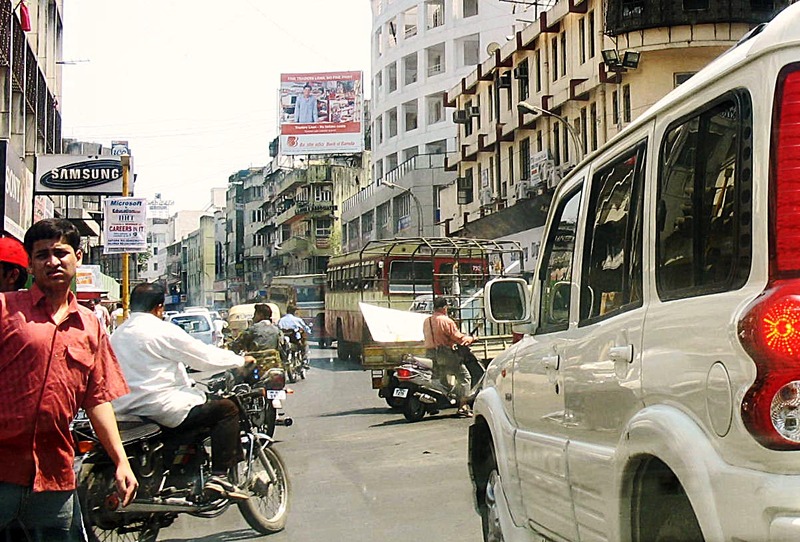 This picture was taken on busy Tilak Road. 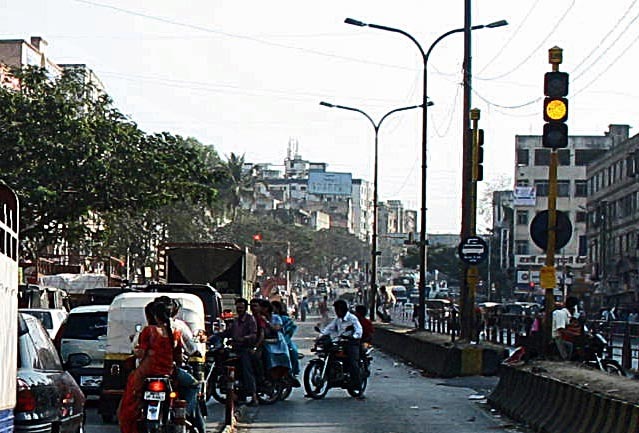 Not just two-wheelers, jaywalkers are also common in Pune. This one is taken in Thane. People and cycles often cross a busy road, obstructing traffic.